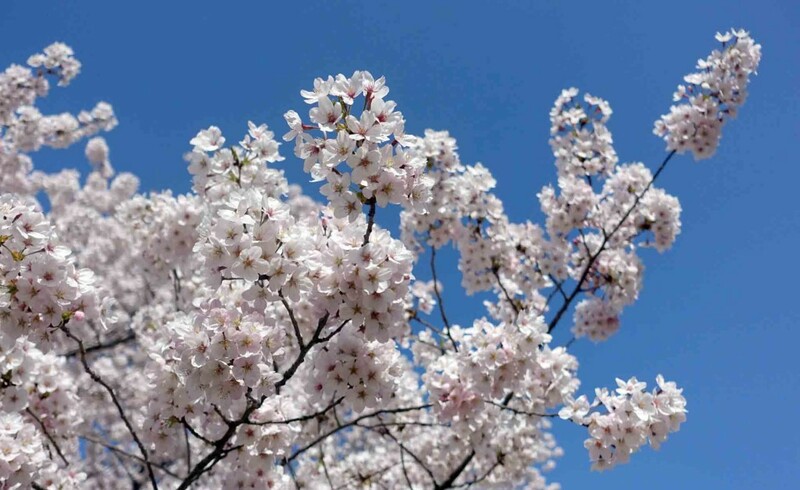 Ever since I can remember I have been longing to see the famous Japanese cherry blossom, which I think it is safe to say are pretty unparalleled. When we lived in Japan we missed the cherry blossom season by a week or two and so I was determined to return to see it. 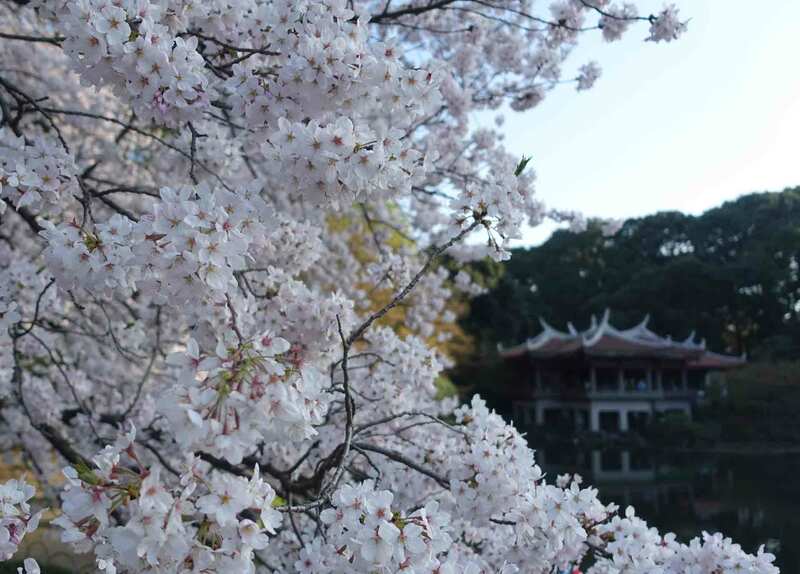 You can spot the beautiful blossoms throughout the city but we made sure to visit a handful of the more famous spots which were busy but oh so worth it. 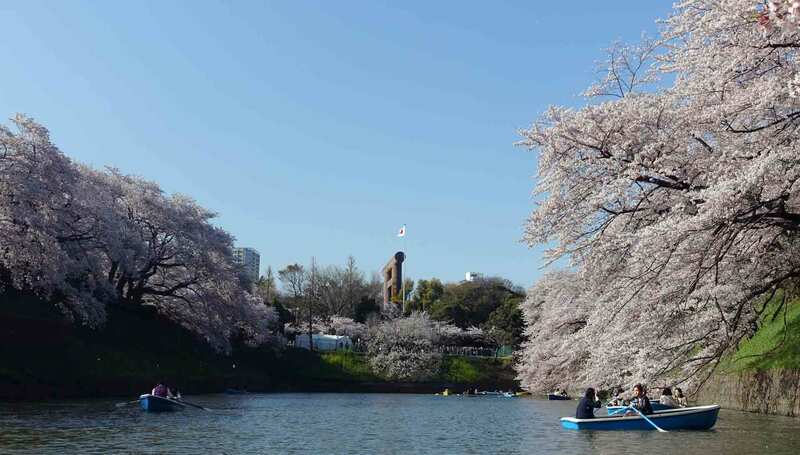 There are around 1,200 cherry trees in Ueno Park so as you can imagine there are cherry blossoms almost where ever you look. 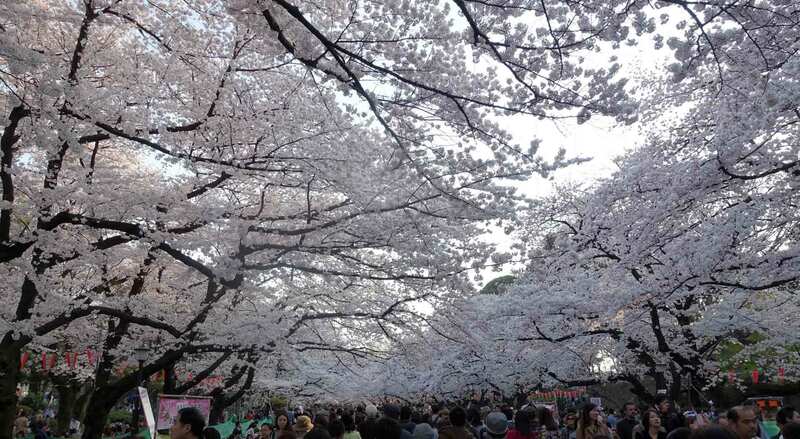 It is a very popular spot for hanami parties and can get very crowded but don’t let that put you off. The central path which leads up to the National Museum has sakura trees on both sides and when these babies are in full bloom you walk under a breathtaking canopy of blossom with the sky only making sporadic appearances. Shinjuku park has around 1,500 cherry trees throughout its beautiful grounds. 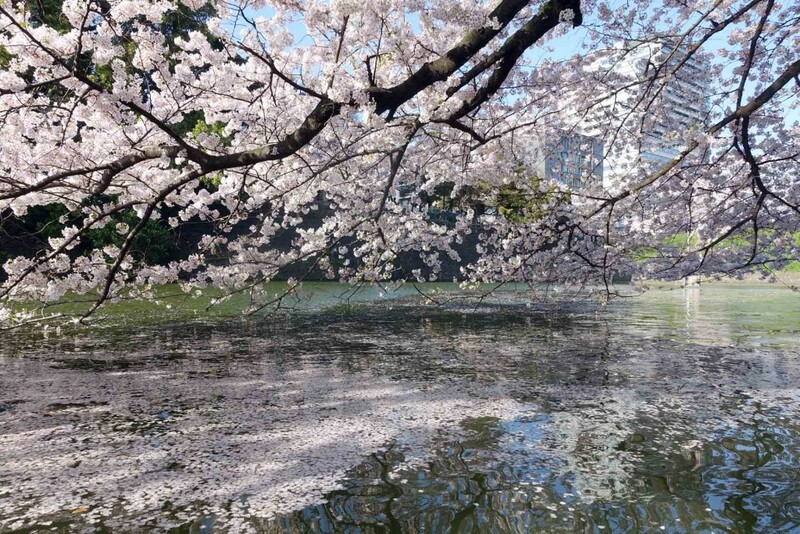 I would recommend Shinjuku Park to anyone in any season as it has a very calm feel about it and a stunning traditional garden but in cherry blossom season it is even more worthwhile paying the 200 yen to enter. There is a bit more space than Ueno Park and so for those that would rather avoid (the biggest) crowds this is probably the spot for you…it is also a little less raucous than Ueno Park with a distinctly family friendly vibe. 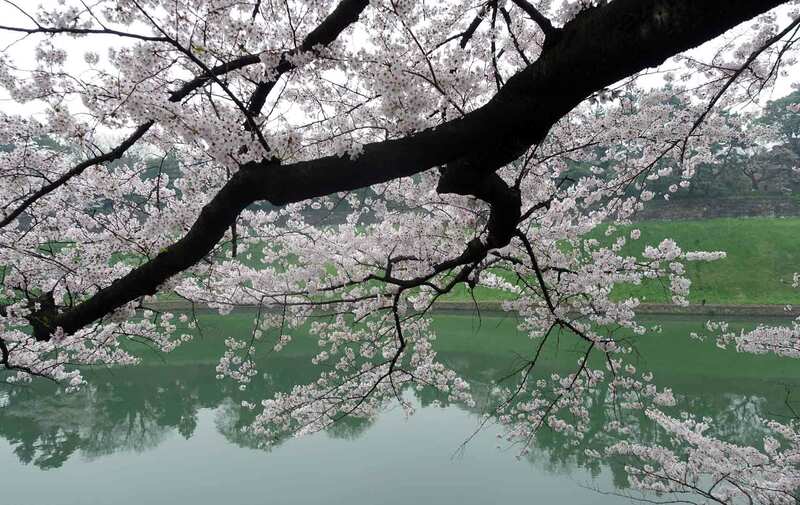 Cherry blossom trees abound throughout the park. There are apparently over a dozen varieties of tree in Shinjuku Gyoen and so even if you are a bit late in the day you can still spot the blossom. 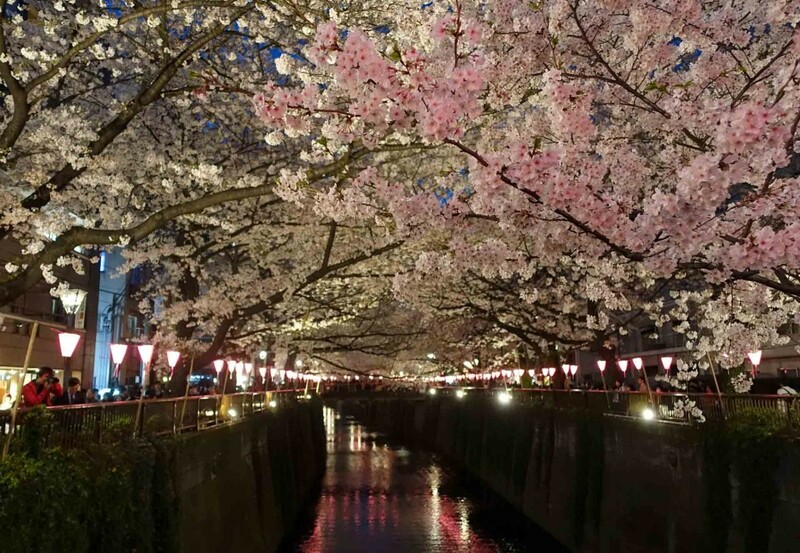 The Meguro river is lined by around 800 sakura trees and the branches spilling out into the river is a stunning sight. 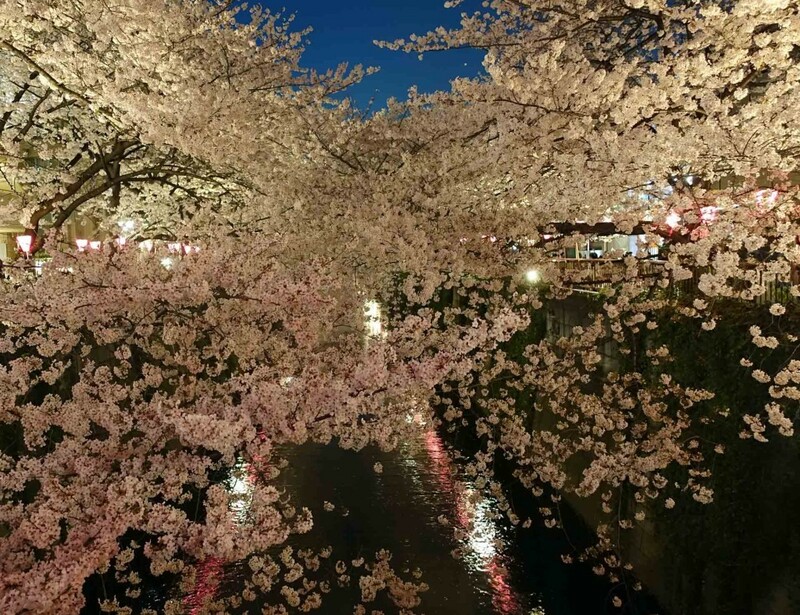 The trees are lit up at night during the main hanami festival for yozakura (or night time viewing). Lots of stalls selling food and drink line the banks of the river and it has a really nice atmosphere when you wander along at night. 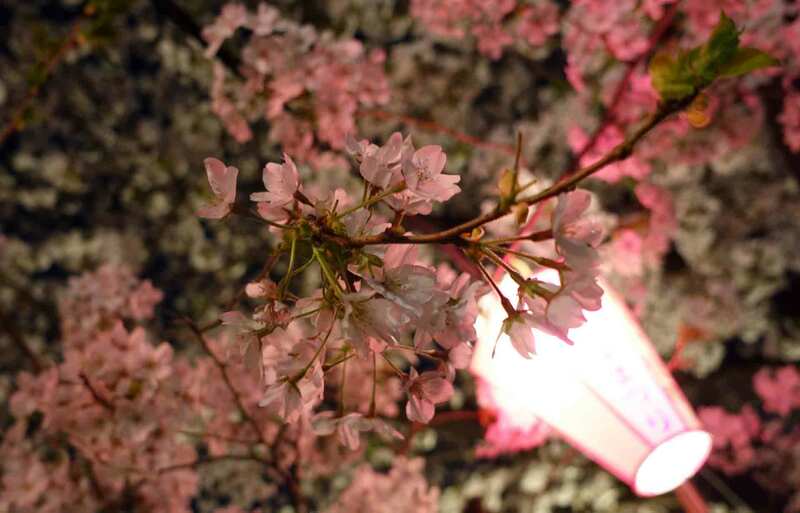 I would definitely recommend at least one night time illumination during hanami. 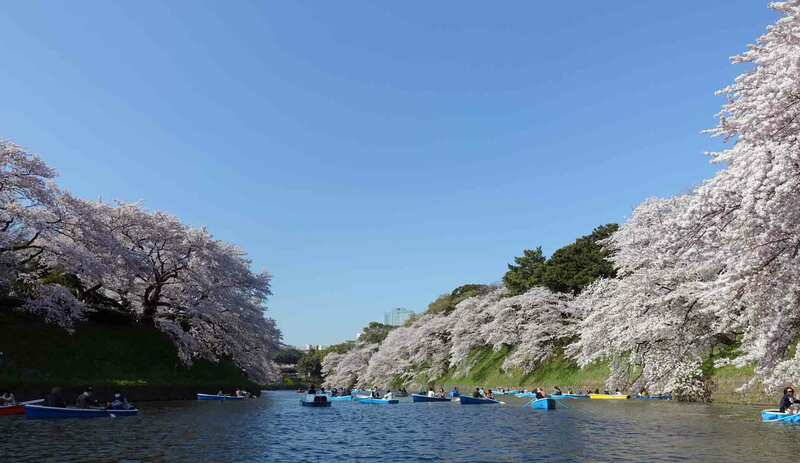 The Chidorigafuchi section of the moat to the Imperial palace (nearest metro station, Kundashita) is lined with cherry blossom trees. I loved the background of the moat against the delicate blossoms. You can wander along for ages just looking at the blossom but if you have the patience I would really recommend waiting for a rowing boat (warning we had to wait well over an hour and I think we were quite lucky). Once out on the moat you can take in the blossom from totally different angles (some of which were admittedly unintentional, i.e. when our lack of rowing skills got us a bit tangled in the branches). 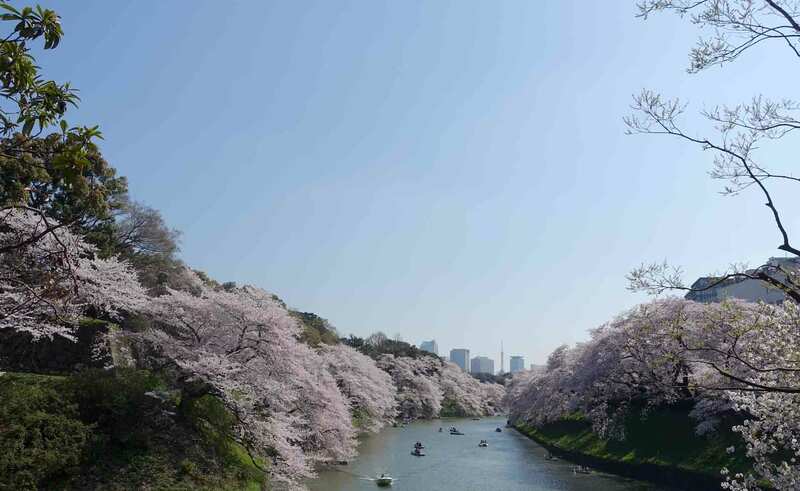 We stayed in Tokyo for this trip but there are famous hanami spots throughout Japan and so if you hit Tokyo at the wrong time you can easily jump on the bullet train and reach an area where the cherry trees are blooming. 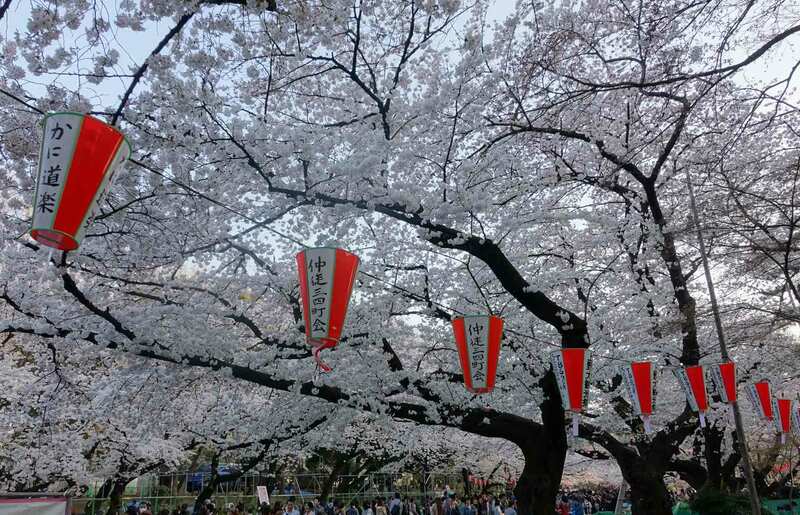 I would love to go back for hanami another time and experience it in another area of Japan so any hints and tips are very welcome. This entry was posted in explore and tagged Cherry blossom, chidorigafuchi, Hanami, Japan, Naka Meguro, sakura, Shinjuku Gyoen, Tokyo, Tokyo Tuesday, ueno park. Bookmark the permalink.